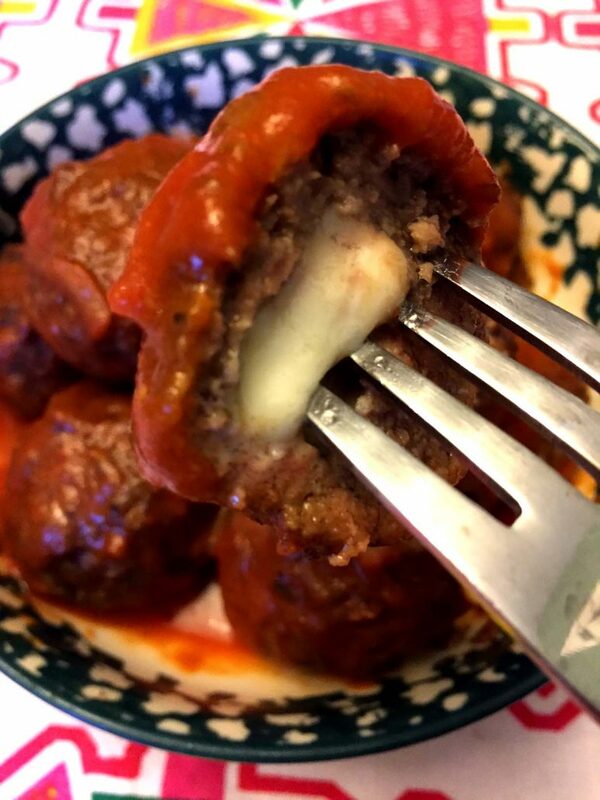 These Mozzarella stuffed meatballs are a must-make for cheese lovers! 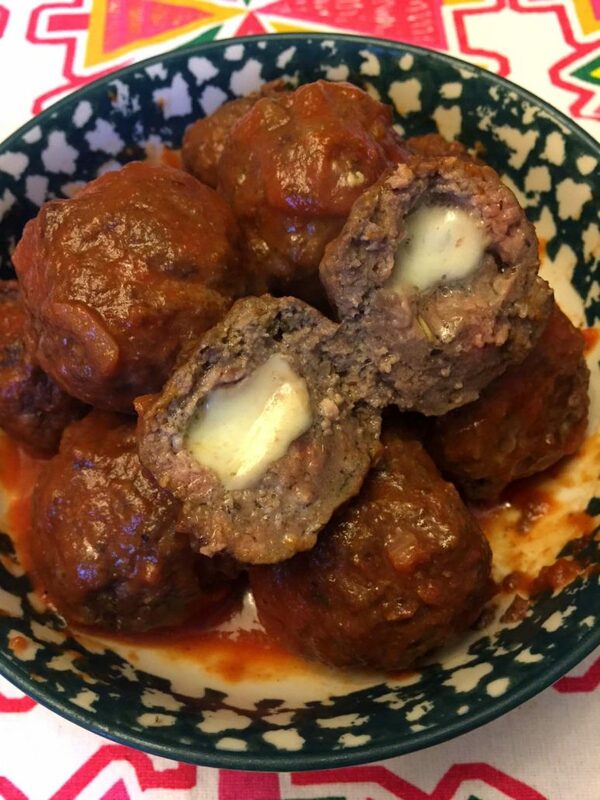 Each meatball has gooey melted cheese inside! Fresh Mozzarella balls are perfect for stuffing into meatballs! Fresh Mozzarella cheese balls come in different sizes, buy the ones labeled “Ciliegine” (1/3 oz “cherry size”). This size of Mozzarella balls is perfect for fitting inside the meatballs and still allowing for a layer of meat to encase it. 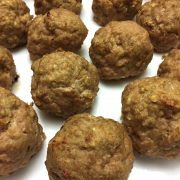 You can use any meatball recipe for the meat mixture (if you have dietary restrictions, check out my gluten-free meatball recipe and keto meatball recipe). 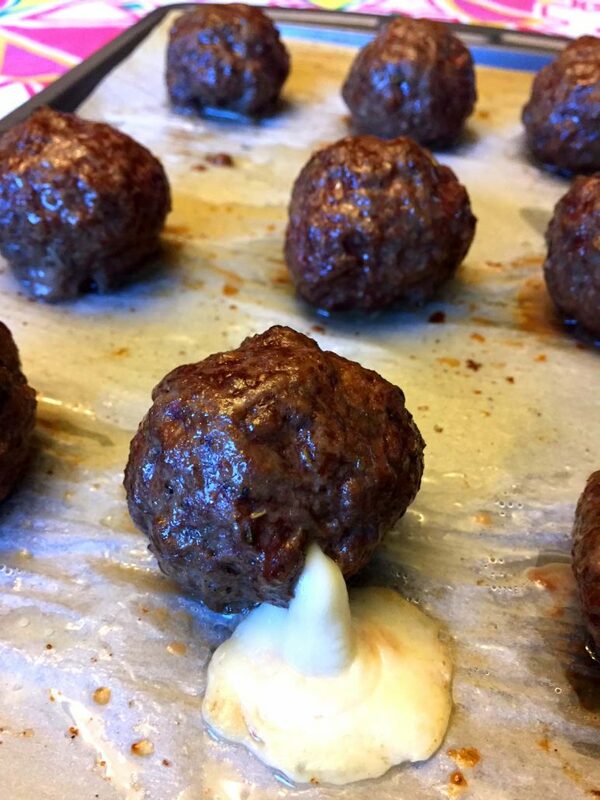 To make these cheese-stuffed meatballs, just put the fresh Mozzarella ball inside each meatball, shape it with your hands so the meat mixture completely encloses the cheese, put meatballs on a baking sheet and bake in the 425F oven for 20 minutes. 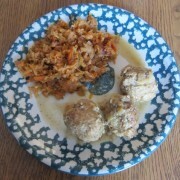 Do not overbake these meatballs! If your oven in fully pre-heated, 20 minutes at 425F should be enough to fully cook these meatballs through. If you cook them longer, all the cheese will leak out. As you can see from my pictures, the cheese escaped from one of my meatballs 🙂 Well, how else am I supposed to show that these meatballs have cheese inside? 😉 Melted cheese is always my favorite part! 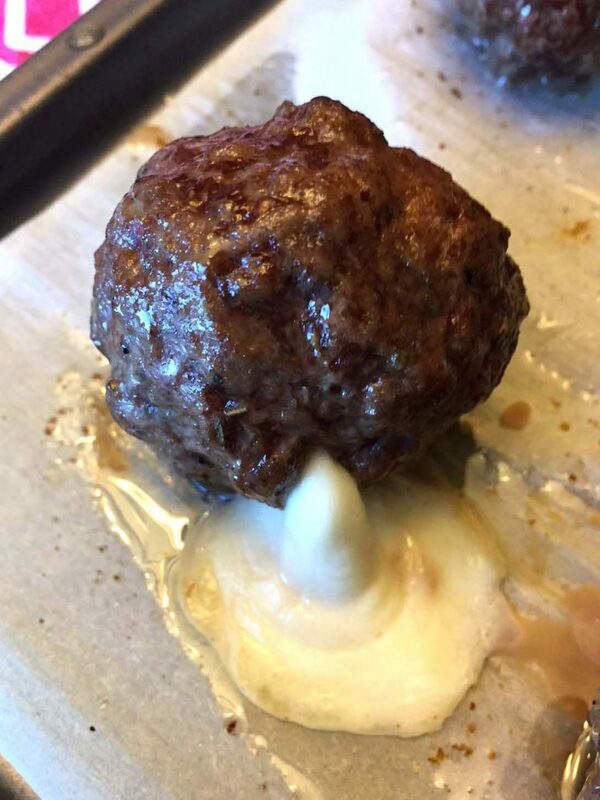 Seriously, to prevent cheese from leaking out, make sure there are no gaps or cracks in the meatballs, and shape the meat extra tight around the cheese. But sometimes accidents are inevitable despite your best efforts! Melted cheese just wants to be free! You can serve these meatballs with or without tomato sauce, it’s totally up to up. 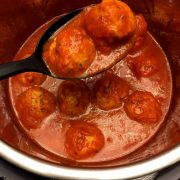 As with all baked meatballs recipes, if you are serving them with tomato sauce, heat the sauce separate from meatballs and then just pour it over the meatballs right before serving. 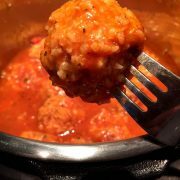 For an epic tomato sauce to go with these cheesy meatballs, check out my homemade tomato sauce recipe. 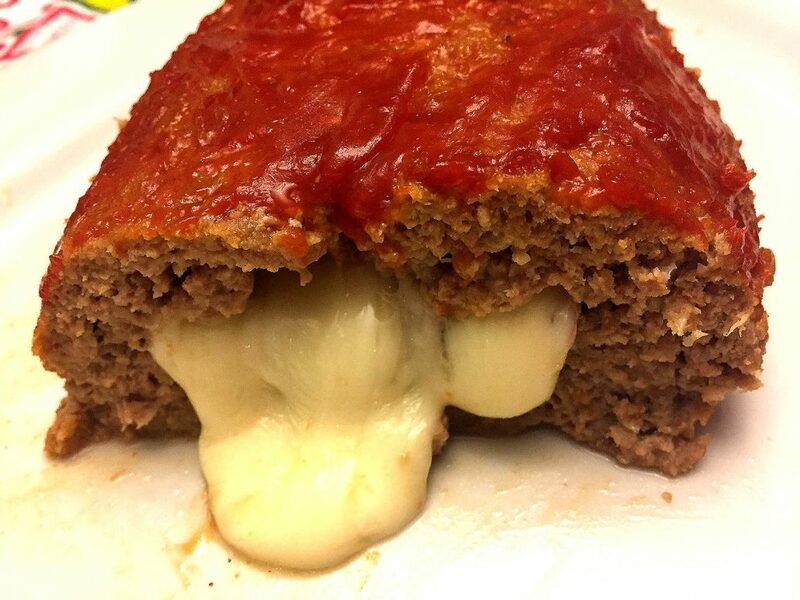 Cheese Stuffed Meatloaf – it’s like cheese stuffed meatballs in a huge meatloaf form 🙂 Cut into this epic meatloaf and see the gooey melted cheese ooze out! 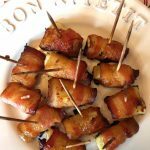 Baked Brie Cheese – mouthwatering appetizer for melted cheese lovers! Cheesy Taco One Pot Pasta – easy 20 minute pasta dinner that’s full of gooey melted cheese! 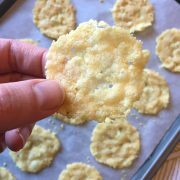 Cheese Pita Pizza – personal cheese pizzas ready in 15 minutes! 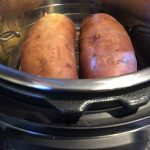 Another perfect dinner for those busy weeknights! 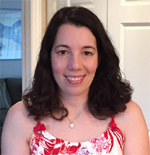 How To Create A Cheese Platter – make a perfect cheese board for entertaining following my easy formula! These mozzarella stuffed meatballs are so tender and delicious! You can taste the gooey melted cheese in every bite! Put ground beef, bread crumbs, Parmesan cheese, milk, eggs, minced garlic, parsley, salt and pepper in a bowl and mix until combined. 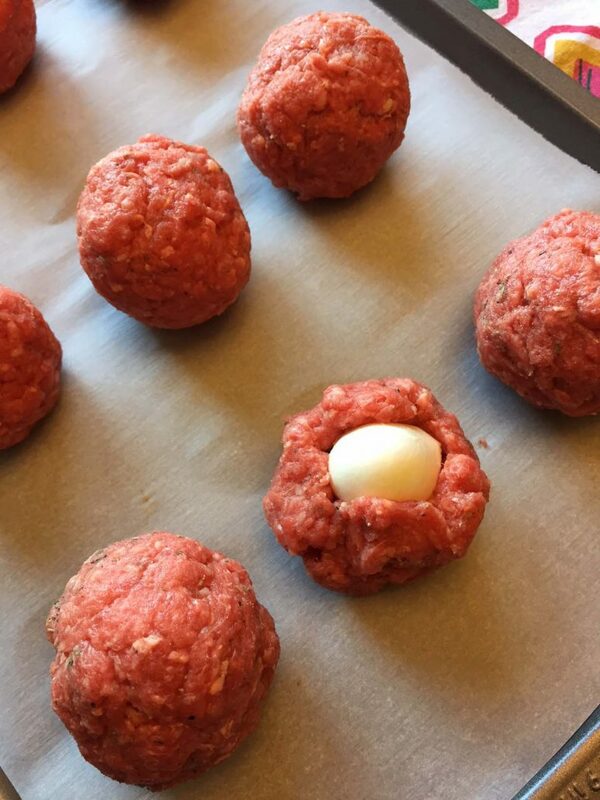 Take a scoop of the meat mixture (enough for one meatball) and put one mozzarella cheese ball inside. 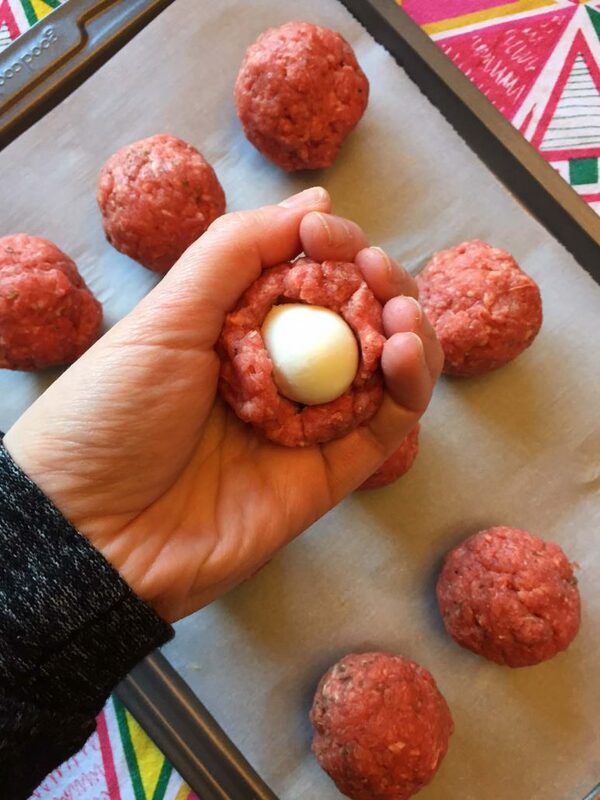 Shape the meat mixture with your hand to completely cover the mozzarella ball and roll into a meatball. 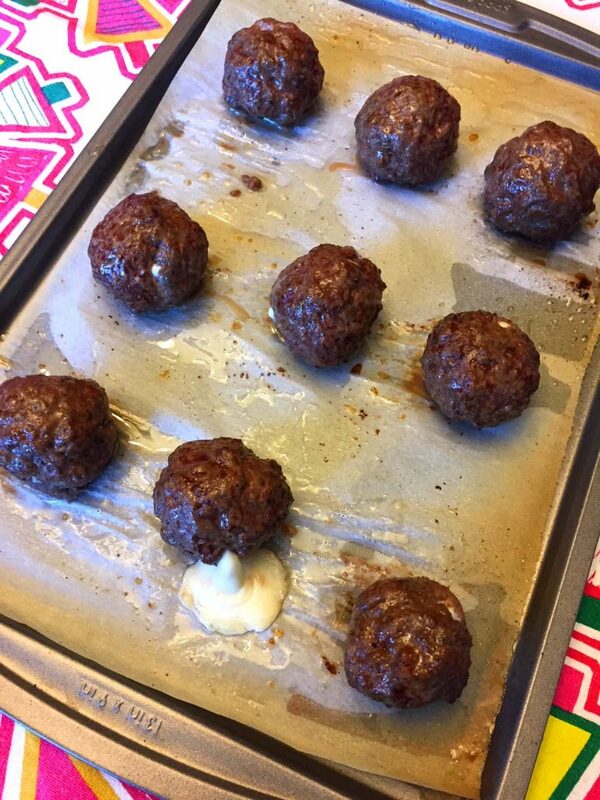 Make sure there are no cracks in the meatball (so the cheese doesn't leak out) then put it on a baking sheet. Repeat with remaining meatball mixture. 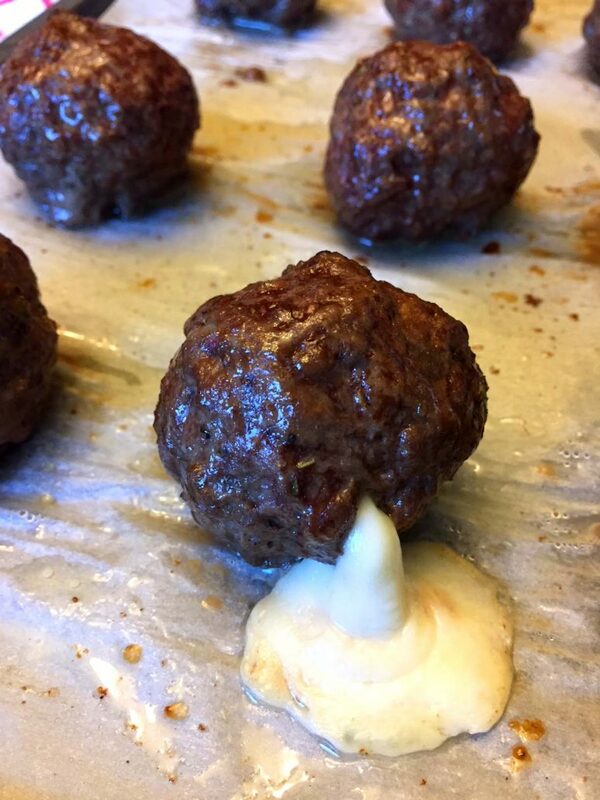 Put the cheese stuffed meatballs in the oven and bake for 20 minutes. 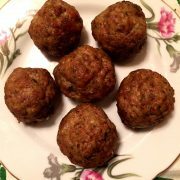 If you want to serve these meatballs with the pasta sauce, heat the pasta sauce and pour over meatballs.